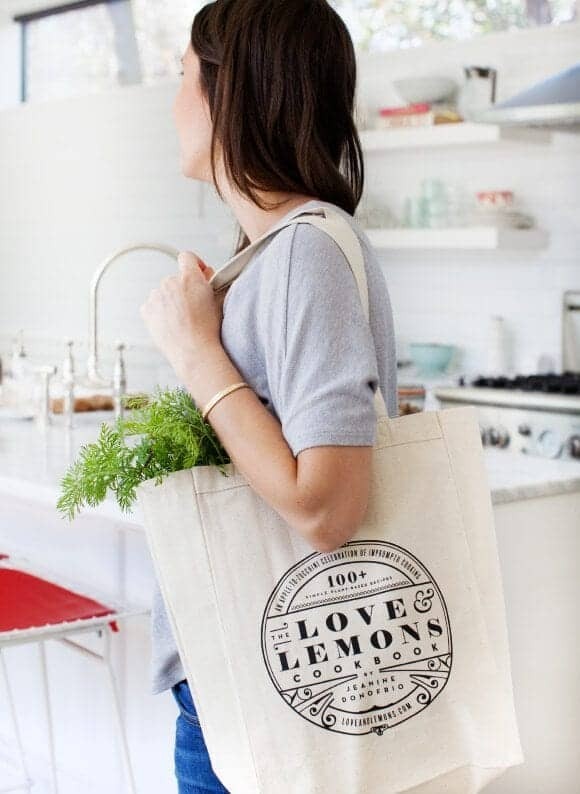 Pre-order the Love & Lemons Cookbook and enter to win a cute lemony tote bag! And the countdown continues… in 3 short weeks, our cookbook comes out! To celebrate, the gifts are getting better! 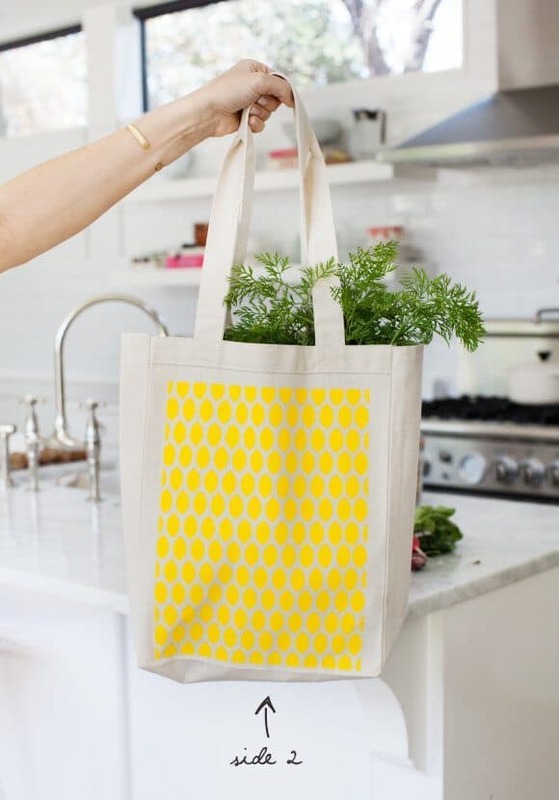 We made these ultra durable lemony tote bags. Don’t you want to take one of these cuties to the farmers market? With the pre-order of a book, enter the giveaway and 35 lucky readers will win one. Winners will be selected at random and you have until Sunday the 13th to fill out this form to enter. Second, fill out THIS FORM with your receipt and address info to enter. 35 winners will be chosen at random. And yes, if you have already pre-ordered your book, you are still free to enter! No purchase (aside from the book pre-order) necessary, open to U.S. and Canadian residents (excluding Quebec), 1 entry per household. just English (and eventually Dutch and German). I can’t wait for the cookbook to come out, you have delicious recipes. I am a university professor, I teach Spanish, and I also do translations. Contact me when you are ready for the Spanish translation. I am a Dutch fan of your recipes. Do you when your book is going to be published in Dutch. Thank you for your inspiration and cheerfulness. Hi Natacha – April, I think, but I’ll let you know when I find out the exact date! Your recipes are fantastic, easy to follow, and super delicious!! I’m having more fun in the kitchen than ever before. And how awesomely rockin’ are these tote bags! Hi Christa – it makes my day to hear that! I can’t wait for this book to be my guide! I cook from your website at least 3 times a week (I need to post more photos of your delicious recipes), it will be so much easier to open the book and know what to stock in my pantry! Hi Erin – I love hearing that! Glad you’ve been enjoying the recipes! I’m really sorry, but my husband and I each entered even though we only bought one book, so please make sure only one Leshaw entry for the same Amazon purchase in included. Thanks! I’ve pre-ordered the book and submitted the giveaway. Will totes be available for purchase for folks who don’t win? 1. It’s a super cute, reusable bag. 2. Reusable bag = environmentally friendly yay! 3. It’s a super cute, reusable bag that advertises my favorite food blog of all time and is a bag I would happily parade around my farmers market with. I’m super excited about your cookbook, especially the handy guild you’ve mentioned that’s in the book about how to keep the pantry stocked. It’s a little overwhelming trying to go grocery shopping for food, especially when I don’t quite have a hang on how to shop for produce without some of it going to waste by the end of the week because I didn’t think in advance how I could use said produce in more than one way. If It isn’t obvious by that last long and slightly confusing sentence, I am a college student who is very new at this cooking gig. But your blog and cookbook has me very excited about learning how to cook and becoming more familiar with the kitchen. I agree wholeheartedly! If I don’t win, I’ll for sure purchase a tote! I completely forgot to register for the bag raffle! The date slipped past me. So disappointed. I might buy one. A girl can never have too many bags for fun stuff. Beautiful. Can’t wait to look through your new cookbook. I’ll be checking it out at the bookstore! Can’t wait! Hi! I preordered my book from iTunes. I’m submitting my information for he give away but I’m not sure where to find a receipt number for my preorder. Can’t wait for the book! I love the bag too & I would buy one if I don’t win. ? I agree! I would definitely want to purchase one if I don’t win. Hi Summar – I’ll make sure your entry goes through! I am in love with this tote! Pre-Ordered my cookbook. Hope I win, my fingers are crossed! The lemon is very good for health. The health benefits of lemon include treatment of throat infections, dental problems, and fever. It helps us to make the fit body. There are many other benefits of lemon in food. I’m excited to get my book! When will the winners be announced? Looking forward to receiving your book.